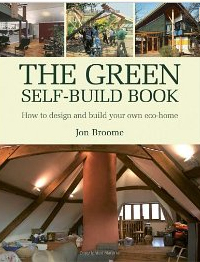 Broome, J (2007) The Green Self-build Book: How to Design and Build Your Own Eco-home. Green Books, Totnes. This British book is packed full of case studies but also useful reflective chapters on issues such as design for longevity. It’s recent publication makes it particularly useful in this quickly evolving field. Contains a good chapter on the implications of Pattern Language. 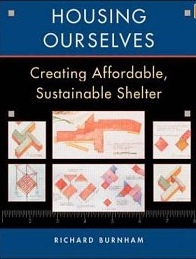 Burnham, R (1998) Housing Ourselves: Creating Affordable, Sustainable Shelter. McGraw-Hill Professional. This is an American book and slightly dated but the only book I have found so far which explicitly links sustainability with affordability. It is a mixture of ‘how to’, numerous examples, and reflection about the need and impediments to affordable eco-housing. I particularly like the chapter (2) on Antecedents for Affordability which links the ideas of Henry David Thoreau with the American dream of housing for everybody. It also outlines a proposal (Chapter 8) for a new theory of affordable housing using modular design.